Video Update on Gun Rights in Wyoming! The 2019 legislative session is right around the corner. Gun owners will remember that passing Stand-Your-Ground law was a major battle — one that we almost lost — and with gun grabbers picking up steam through 2018, this is no time to sit back and relax. 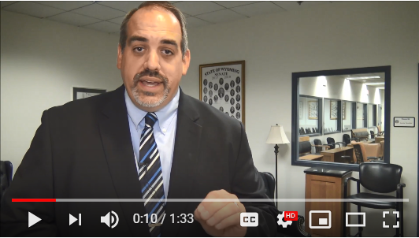 That’s why I’ve asked our Policy Advisor, Aaron Dorr, to prepare this video update on what’s at stake next session. Please watch this video update below. Now that you know what we are fighting for in 2019, please take a moment to renew your membership right away! Remember that it was WYGO members and supporters like you that made it possible for us to pass Stand-Your-Ground law last session. Your financial support allowed us to pressure the legislature with a high-tech state-wide email program, run radio ads in targeted districts, and gather needed petitions through our mail program. Then, just a few months ago, your financial support allowed us to hold anti-gun incumbents accountable during the 2018 primaries. Long time anti-gun lawmaker, Senator Fred Emerich, went down in flames as mobilized gun owners threw him to the curb. Bottom line: Wyoming Gun Owners donors are getting their money’s worth in the fight for the Second Amendment. But we can’t stop now! You know what’s at stake. Please renew your membership in Wyoming Gun Owners right away! P.S. With the general election behind us, the fight for gun rights is going to get white hot here in Cheyenne before you know it. Please see our video update here on our goals for 2019. And please take a moment to renew your membership in Wyoming Gun Owners for 2019 RIGHT AWAY! Wyoming’s Chance to Repeal Gun Free Zones!